Do you see the clouded reality of what is in front of you, this time and space that you are living in, with all its dark shadows and murky colors? When you open your eyes, do you see lack of time, the mundanity of the everyday, the stress of finances, and the pain of disappointment? This is the grey…the grey that threatens to swallow us whole, suffocating us with its insatiable need. This grey vortex of never enough, of “don’t get your hopes up”, of reality checks and bank accounts. The enemy in his domain, the prince of the air, is rubbing his hands together and saying, Yes, yes, I’m showing them reality. A reality that hits them in the face like a door slammed shut so loudly it makes their eyes water and their bones ache. If I can just keep them here behind that door, drowning in this reality, ah yes, then I will have accomplished my purpose – which is to destroy theirs. Is this what you see? Dear friend, when you open your eyes in the morning, is your first thought the list of tasks that have to get taken care of in order to get by, in order to get through today? Is your biggest hope each morning the countdown to the moment when you can sit down for a second and breathe, or when you can climb back into bed at night and get a moment’s rest before tomorrow? There is so much more to life than what you can see. I know you’re afraid to fall down. I know your knees are buckling under the weight of your responsibilities. I’m here to tell you – it’s ok to fall. Let this weighty world cause collapse and fall straight on your face. I dare you. Fall down flat and lift your hands in the air and say, “I can’t do this!”, and just stay there a while. On Thanksgiving Day it’s easy to feel thankful. Smells of cinnamon rolls in the morning and turkey in the afternoon. Warm sweaters, full tummies, time with family and friends. It’s like the tastes and the smells and the time together was created for gratitude. How can we not swell with thanks when everything is so comfortable and warm? But after the turkey gets cold, when the family leaves, when Monday morning rolls around again, it’s those everyday worries that start to steal thanks away from our hearts. Anxiety kills peace and it’s hard to believe that so shortly after the peace of a Thanksgiving meal that anxiety can fill that same belly that was full of pumpkin pie just a few days before. But isn’t that how this works? Isn’t that the fate of this fallen world? To worry about our bills, our families, our callings, to try to control everything so that the worries won’t consume us, yet somehow the worry of control consumes us anyway? Yet this is what the Scriptures say: Do not be anxious about anything. About…anything? Can you be serious? How is that possible? Is it possible? It is, but you’ve got to see, you’re gonna look crazy to this world. You might look crazy to your family. Goodness…you may even look at yourself in the mirror and laugh and say, “Wow, you are so crazy!” Because here’s the thing, regardless of your situation, an act of thanks has the power to usher you into the peace of God. Where are your thoughts today? 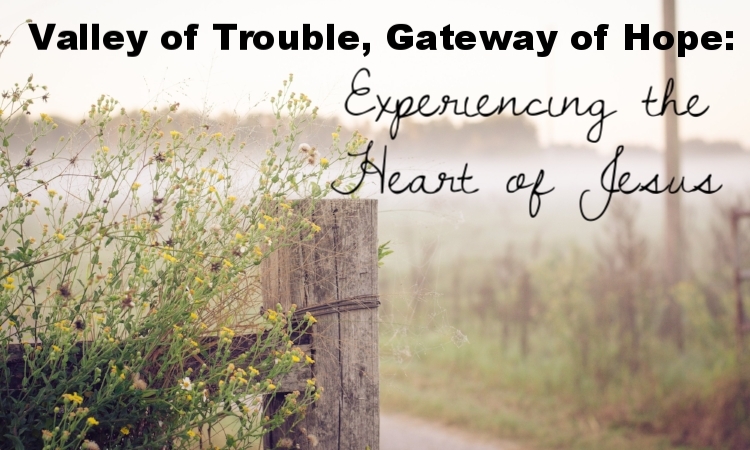 What is the overriding feeling in your heart? Are you feeling bold and courageous, or are there fears lingering in the corners, whispering to you and keeping you from joy? What is this fear anyway? Why does it creep into us in these weak and weary days when really we just need a solid pillar of hope to grab onto, something to keep us from sinking into the deep? Oh, dear dreamer, you are bold, you are courageous, but the thoughts of fear are trying to convince you of lies – lies that you have failed, lies that you are forgotten, lies that you are not worth it. But we have to remember (come on, please remember with me!) the promises of God - the REAL of who we are because of who He is - are sure, steady, unmovable, unchanging. The conviction. Conviction. Huh. I never saw this before, did you? You can’t have conviction about something that’s tangible, because it just…is. If it’s raining outside, do you say, “I have a deep conviction that it’s raining outside”? No – oh why didn’t I see this before? That’s not how this faith thing works. You have to have conviction for the unseen things, not the seen. I have to have a conviction about how I live my life, about what I believe. Look at the heroes, the greats who changed history. Martin Luther King, Jr….he didn’t alter history because of something that was obvious and seen by everyone. No! He had a conviction about the unseen, a conviction that “all men are created equal”, though in the world around him the reality of this was so far from seen. It’s unraveling now, like a scarlet thread through our hearts and our days: if we are dreamers, then isn’t it just simply obvious that we must be living out of a deep place of faith, that we must have a conviction of things not seen?! If our hope lies in the things we can hold onto in the here and now, that isn’t really hope, is it? And it’s not faith, for it requires none. True hope is birthed by true faith, which has been granted to us by the very heart of Love Himself. So how do we keep coming back to this place of, I have lost my hope because I don’t see anything happening? Oh how this season has been a valley. Oh how I had thought that coming here, that this act of obedience was going to take me to joy, to dream-fruition, and to passionate service for the Kingdom. This was my expectation. This was my hope. I obeyed and I came and I made all of the immense changes because I thought that it was time, time for the dreams to awaken, time to take Your hand and to follow you into destiny. Oh Valley of Trouble, how you broke me. How you brought me to my weakest point and left me on my face on the floor, unable to move. I didn’t know you were coming. I didn’t know that making this change and walking in obedience was going to bring me to this place where trouble was a flood around me, a valley of bones surrounding me, a desert of hopelessness and fear and brokenness with no oasis, no end in sight. And I say with fullness of heart…Thank You, God. Oh thank you for the Valley of Trouble. But why oh why would I thank Him for this? How can I be broken and battered to within an inch of my life and say thank you? And not just thank you, but 100% without hesitation, I would do it all over again. Have I gone mad? Have I lost my senses? Thank you so much for being a part of the launch of GabiRuth.com with me. This has been a very interesting and stretching adventure already. I've been pressing in hard for the past couple of months, and I still look forward to seeing what will happen as we move into the future. And that is my book manuscript. For nearly all of 2016 I worked on a book manuscript entitled The Footsteps of a Dreamer, but once we started making the move from Colorado to Texas early this year, I put it on the shelf, partly because we needed to focus on getting through this huge transition and partly because I have been pursuing building this website and some other things instead. But right now, with some potential transition looming ahead in a few weeks again, my husband and I have prayerfully decided that I need to hide away for at least the next two weeks (maybe more) and work on revamping and completing this book which God has entrusted to me. I feel very small and am humbled by this task. But as we can see with all the birth pains happening in the world right now (see Matt. 24:4-8), our time here is short and our task is urgent. We need to stay on mission. We need to be focused and tenaciously, intentionally train in godliness (1 Tim. 4:7) and pursue the works the God has prepared for us to do (Eph. 2:10). We cannot waste time. So I'll be shutting everything down and walking away for a bit to redeem the time and finish this thing that has been entrusted to me. I have some ideas of what will happen after that, but it's all in God's hands - and truly - anything surrounding the Gabi Ruth ministry and vision will have to be an absolute miracle once these few weeks are up. So let's get ready to see a miracle together. I will also be using this time away from the usual hustle to allow God to do some restoration work in my soul. Through all of the change I have discovered the places in my heart that need His healing touch, and I am not afraid or ashamed to say that God wants me to take a step back so He can lead me beside some quiet streams, so I can get the silence and the healing I need in order to be more effective in the future, and gosh, really to just be closer to Him and to let Him love on me...which is so the heart of the Father. I'll be posting on instagram (@gabiruth) occasionally with any updates, but even with social media I'll be seen less frequently for a while. Thank you for your prayers for me in this season. I can't wait to see what God does with this book, with my heart, and with the lives that will be impacted along the way. Psst, you there...don't worry, I have plenty of resources for you to dig into while I take a little leave of absence. 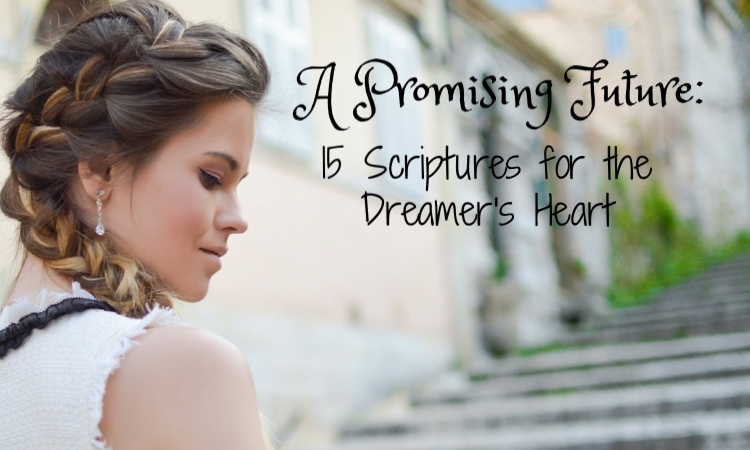 Check out my brand-new DOWNLOADS PAGE for some resources designed specifically to minister to that dreamer's heart of yours! CLICK HERE to check it out! Face to face with my own brokenness. In desperation I cry out, oh God…deliver me, as I see the depth of my sin, realize the immensity of my weakness. Oh God…deliver me. But how? How does He deliver? What will He do to free me from myself? Let Me show you the dream on My heart, He whispers. And He takes me to that place. That place of most dreaded sadness. There. Golgotha. Mary’s robes whipping in the wind as tears stream down her face. Man unrecognizable hanging on a tree. Blood-soaked ground and moans of anguish. This is My dream, He says again with wetness on his cheeks and a smile tugging the corners of his mouth. Oh God. God. What could you mean? How is this Your dream? Here, give Me your sin. Give Me your brokenness, He says. I hand it over and wonder what on earth my sin has to do with His dream. He takes it in His hands and walks over to this place of greatest grief…the cross of Christ. He lays my sins there at the cross and beckons for me. Do you understand the significance of the right now, of the thing right in front of you? You’re a dreamer. I get it. I’m a dreamer, too. So maybe, like me, you’ve been caught up in the future. The future holds your thoughts. The future holds your passion. The future holds your commitment. Because – you’re a dreamer and to dream implies to think about what the future could bring. But ah, here lies the catch, my dreaming friend. Because, you see, to dream is ethereal. It’s important, yes, but not actually something that can be grasped...a dream is like water…you can see it and you can feel it, but you cannot hold it in your hand. But understand – please take a moment to understand – that this ground beneath your feet, this current status of your now, this season you are living and breathing in…this is the very place that will turn the water of your dream into stone and brick, allowing you to grasp and build it one piece at a time. You can fight me on this. Go ahead. I really don’t take it personally. Because I’ve fought this, too. In fact, I’ll come right over there and give you a huge hug after you cry and scream and say, “When, God, when? When will I see this dream come true?” Because I know how hard it is. I know that the here and now can be jagged and tough and can last for a long time. But I also know something else: without the jagged, painful, tough, long here and now, we will never ever be ready for the dream-come-true. This season has a reason. But looking back on all my seasons, I wish just one thing: that someone would have told me along the way that there is purpose in all of this right-now stuff, too. Reason in this serving, in this aching, in this waiting, this death of a dream even. I want YOU to have this someone, my dreaming friend. Let me be this someone for you. Trust me, I’m still looking forward to turning my own water-dreams of the future into stone-and brick reality! But through this up-and-down dreamer life of mine, I have learned some things about the value of the now. About the value of the present season. Will you believe in this with me? I hope you will. 1. The Birth of a Dream is a season of hope, a season where the dreams of God shoot down from heaven into the hearts of His people. 2. The Seed Watering season is a season where God takes you into a secret place and cultivates this dream in your heart. 3. The Death of a Dream is the very time when we get to really know Christ – for to know Him is to be crucified…and then to believe for resurrection. 4. In the Meantime is when we are purified of our selfishness and learn true compassion. This is also when we really understand that this isn’t about us anyway. It’s about God and His plan and His kingdom. So whatever He desires – we become ok with that…even if it looks totally different than we thought it would. As we sit together over coffee (oh I wish that we could right now), I would share these things with you; then I’d go on a journey of discovery to find out where you are right now. Because doesn’t that help? Doesn’t it help a little bit if you can find a marker in the road, a signpost telling you where you are and what’s coming next? Well since we can’t have coffee (at least not right now), I put a little something together for you. A roadmap for your journey. A hand to lift you up. A light to shine on your soul and help you see with new eyes what your right now actually means. Here you go. It’s free. Just like Grace. Grab that coffee (save a seat for me), and go through this resource. And whatever you do, dear dreamer heart, don’t give up. And don’t stop dreaming. This King of the Universe, this Grand Designer of heaven and of earth and of you. Don’t forget who He is. Don’t take Him lightly. Don’t get a glimpse of Him and then go on with your day thinking that you’ve got this. Because, guess what – you don’t. He does. He’s got this. This little life of Yours, He’s chosen to put it right in front of His eyes, right inside the palm of His hand. But maybe you forgot. Maybe you forgot that “everything comes from him and exists by his power and is intended for his glory.” (Romans 11:36, NLT) This is the greatness of our God. Without Him we have nothing. Without Him we are nothing. Without Him there is nothing. To taste and see that the Lord is Good (Psalm 34:8) is delightful and invigorating, but here we are, forgetting His utter greatness. And in our forgetting, sometimes we merely crave His presence like we crave our morning coffee. We want to taste and see so we can feel strong and move forward. We’ve had our coffee and our Jesus and then we close the door of our room on the empty mug and…God forgive us…on the very Lover of our souls. Oh Jesus, I’m so so sorry. When will we see how He jealously longs for us? When will we see that, while we so feel like we must fight and we must fend for ourselves and we must make things happen – His heart for us is actually contrary to all of that. He is offering us a Love so much deeper, so much greater, so much more intimate than this work-worn striving…so much more than this taking a sip of Him and then leaving Him behind and hoping the little taste that we got will get us through today. Fall is in the Air: Change is Coming...Let Hope Arise. The trees are still green, but daydreams of lying under a canopy of gold and looking up through the leaves while the sunlight plays in dapple drops on your face make you smile, because you know what’s coming. You know it’s not far away…this season of autumn-crisp days and pumpkin-scented everything. Hope is stirring in anticipation of the changing seasons because you know that the season coming brings the warmth of blankets and family and cider and curling up with a good book with no guilt at all. And maybe, like me, the hope inside your soul is stirring, too. Because maybe as the seasons change outside your window, the seasons are changing inside as well. Maybe within your heart, the darkness of the shadows that have been hovering is being dappled by sunlight drops of hope that have fallen through the leaves of doubt and fear. She gave me ideas for a few, but this one – this one looked special. I read a couple of articles about its unique interior design, about its rooftop garden. So when I walked in, I looked around before I ordered my coffee (yeah…crazy). Long, black iron community table with tall iron chairs. Leather wingbacks and plush wall-installed sofas. Blown-glass chandeliers. As a Starbucks-vibe connoisseur (the coffee is ok, but the Starbucks vibe? Oh yes, take me every day. To me, finding a new Starbucks feels like Christmas)…I was absolutely impressed. But what I loved the most was the shiplap-esque wall, and the gorgeous repurposed wood hanging artfully and beautifully from the ceiling, creatively covering up the air ducts. Stunning. Absolutely stunning. It took my breath away. Did you ever just see something so beautiful that you felt like you almost couldn’t breathe? It hits different people in different ways by different means…for some it’s architecture, for some it’s flowers, for some it’s Picasso (you’re weird if this is you, but that’s ok, I like weird people).